Your doing fine, Fidel…revolutionary guerilla fighter Camilo Cienfuegos overlooking Revolution Square, Cuba. My father is retired and I am an active flight attendant and can share that trying to book a resort for a single person at an all-inclusive resort is like trying to find a needle in a haystack. Most single people end up paying double or a hefty premium on their vacations just because they want to vacay solo. As far as avoiding the single supplement fee, Cuba is your best chance in the Caribbean to get non single supplement all inclusive hotels. Also Cuba has places that are not all inclusive called “Casas” (houses) where you sleep and perhaps walk or bus to the beach. They used to be about $25 a night, not including food. Your welcome, single supplement people, to Cuba’s pristine white sand beaches. They actually value your patronage and realize that just because you are travelling alone, doesn’t mean you should pay double. Another tip is to stay at private condos, bed and breakfasts that don’t penalize you. Hotels and Casas can be found off the beaten path, but are sometimes much more rewarding vacations. You get a chance to walk through the town, interact with the locals,and sample local foods and local prices. Which reminds me of a story of a van full of crew members and a tour we took in a taxi van with a 300lb. driver for $70 U.S. each. Our Spanish speaking crew member translated what became hilarious interactions and observations by our driver. 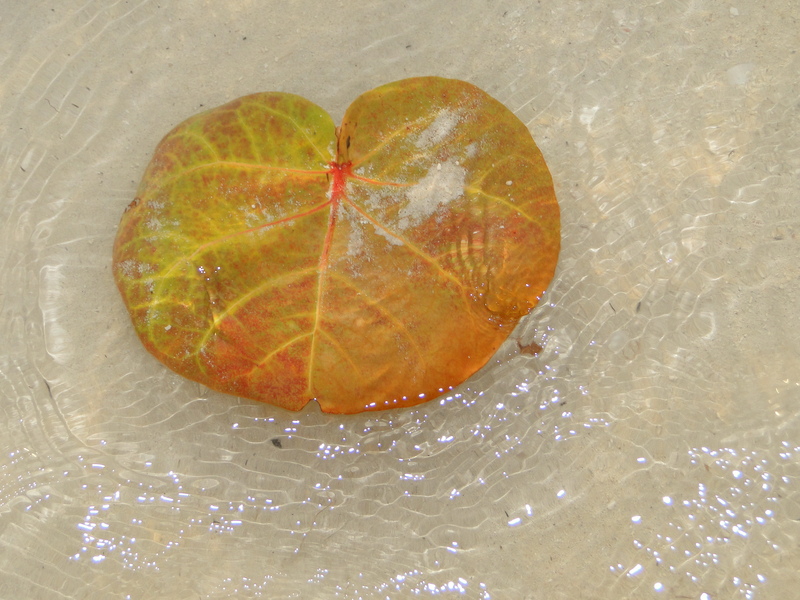 Some Cubans in general rely on “sages” to help them, for example one seemed to cure his son of a bronchial illness. It seems that, because of communism, alot had taken to imported African customs and rituals to put it nicely. As the group of us joked more and more, it seems that I was laughing the loudest to which the driver looked back through his rear view mirror, sweating, and remarked, (translated), “We have a saying in Cuba…that someone who laughs alone, is possessed by the devil.” To which the whole van roared with laughter, mine the loudest. I tried to get my colleague to explain, that everyone was in fact laughing in the van, it’s just that…mine was the hysterical sounding laugh. But I was not laughing alone! To no avail. I made him nervous. Then we proceeded to park and visit a viewpoint in which we could watch Che Guevera’s house from atop a cliff. We self guided ourselves to the hill and the back of an imposing, giant statue with long hair. I was thinking from the back, a bearded character, maybe it is a statue of Che overlooking the house he used to live in. Yet, our driver did not mention the statue, the 20 metre statue on a cliff overlooking a good portion of the city. As we rounded the base of the statue, we were all wondering why our driver had not mentioned it. We all thought it peculiar in proportion to the tiny house of Che which was clearly overshadowed. As we stared up, a few of us realized by our own deductions that this indeed was a statue of Jesus in a communist country. Immediately I tried to understand the driver’s perspective and I said, “Well then, who does he think He is?” Even when we got back to the van, there was clearly an absence of detail about the site. We don’t know what the driver was thinking, but this was an unoffical tour which also did not mention the military shooting ranges we passed on the way there. The tour continued on to Havana, again self-guided, wandering the streets. Upon our return towards our hotel in Varadero, after a long day, our superstitious driver invited us back to his home. None of us wanted to go, but didn’t want him to pick up on that. So in case he in fact did understand any english whatsoever, we decided to communicate to each other in a language we deemed “non-latin derivatives.” Sure, we used the word “dwelling” instead to refer to his house, and other vocabularly challenging references to discuss excuses to get out of it. Our eastern block colleague, looked at all of us giggling, and said, “I don’t get it,” with a straight face. Maybe that’s because we weren’t playing the game right. In the end, we could not gracefully bow out, and we actually enjoyed the tour of his house the most. The van had a huge garage, with ceramic black and white tile, and a few cloves of garlic hanging randomly. The kitchen was very tiny, with his wife handing him his bag of prescriptions as we came in. The bathroom had no toilet seat, which seems to be a luxury anywhere. And The 1 bedroom had two beds, in which they slept with their kids. The driver mentioned he was so grateful for having a van that could provide an income for his family and took up most of his house. Considering that the average Cuban makes $30 per month, it was pretty humbling. But this taxi driver, just made a a year’s income in one day with a van full of flight attendants. We still talk about how much we laughed to this day. For your airplane ride, nearly all airlines now only deal with credit cards and absolutely do not accept cash, debit cards, credit/debit cards or gift/visa cards. So please do get a credit card for your airplane journey in case you want something that is not provided onboard. Do not assume your airline is obliged to feed you and accomodate any special food needs you may have. Do not assume you will get your first meal choice onboard if there is a meal at all, as an airplane is NOT a restaurant. DO travel with snacks for your plane ride and DO buy your water after passing through security. You will be cold or hot on the plane and there is nothing you can do about it except buy a blanket or don’t. So may I humbly suggest, layer your clothes, bring that pashmina, wear socks, long pants, closed toe shoes (or socks and sandals), or those nifty convertible pants that turn into shorts. On your return flight you will be dressed for the sun but it gets cold in the plane fast, so DO bring your coat over your arm through security, you will be glad you brought it onboard and can sling it over legs when you realize you are only wearing shorts. Fleece zip up tops work great. Keep in mind, tourists do not have access to Cuban “convertible pesos”, but you can buy and pay for everything in regular Cuban pesos. Be sure to get some pesos if possible before you go. If it’s not possible, try the airport exchange or bank machines when you land as your best bet. You will need cash to convert for emergency funds, in case the ATM or bank machine is acting up at your hotel. You can also convert money at exchange kiosks for example in hotels. The lineups are sometimes long, but don’t expect that you will get a fair price for your dollars. It’s been my experience that we asked what the rate was, went in with our calculator, and checked the math, and the girl was ripping people off by a few dollars each time. The posted exchange rate, which sometimes puts their pesos at par with Canadian currency, is the rate you will get. It is futile to argue the posted exchange rate. I am referring to their “calculations” of that rate, so go in with your calculator and show her the facts if their is a discrepancy. Be polite but firm. Rudeness will get you nowhere. I have seen many drunk people go in to kiosks looking for more cash, perfect victims. -Do not ask for your balance, even if the machine offers. The machine’s brain cannot give you a balance, and then will inexplicably refuses you funds. -Try your checking and/or your savings account. -Research the approximate exchange so you don’t take out too much or too little, it will likely ask you how much you want in local funds, I repeat, local funds. Cuba does NOT accept American dollars due to the embargo imposed against them. Bring your calculator and check them astutely for any money exchange, but you have to accept whatever rate they give you, and the commission charged. Don’t expect locals to take credit cards, sometimes hotels won’t either, or they will not be able to process it as everything is a bit outdated in Cuba. Having said that, keep in mind that the average Cuban makes about $30 a month across the country, and the food will be quite reasonable. Always remember to go with the flow, and not try to westernize the countries you are visiting. We are privileged guests, and Cuba is generally one of the safest places to go in the Caribbean. Stuff your suitcase with unwanted, gently used items, donate them to staff or if you get a chance to interact with locals who do not have access to such luxuries, do that. I once gave 7 dresses to seven ladies to the wait staff of the dining room. Shoes, clothes and any supplies are always appreciated.These make great tips, as do tips in local currency. I learned in Africa, that leaving a tip in local currency is good, but over tipping when a local is making $30 is not a good idea either. Some airlines will give baggage extra baggage allowances for which you must fill out an official form to donate goods. You may have to declare these goods when you come in to the country. The best way is just fill your regular suitcases and go home a little lighter in every way. 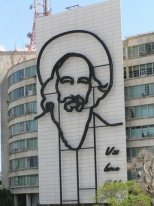 footnotes: Thank you to http://www.talkingcuba.wordpress.com/tag/havana/ for the image of Jesus.